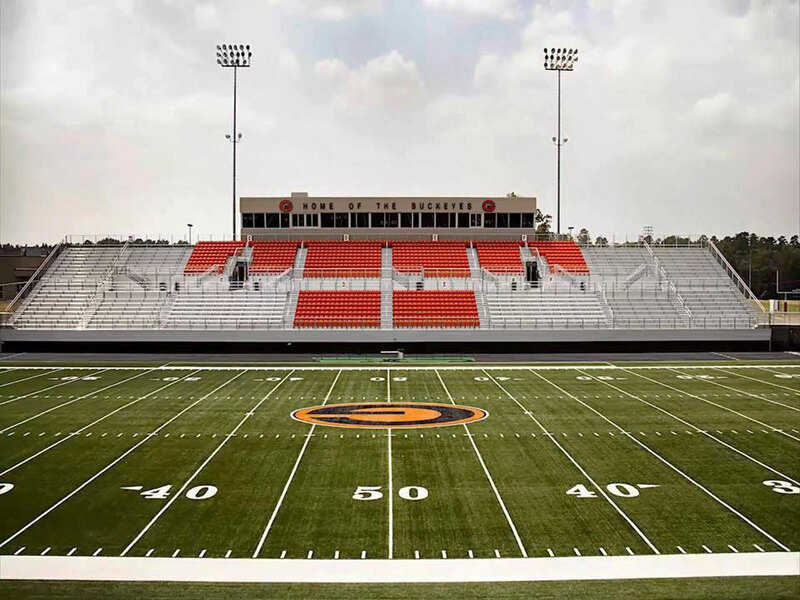 Buckeye Stadium was opened in 1961, but was renamed Jeff Traylor Stadium in 2014 in honor of long time and winningest football coach Jeff Traylor. Under Coach Traylor, the Buckeyes played in 5 state title games winning the title in 2004, 2009 and 2014. The stadium has undergone several renovations, including a new field house, restrooms and additional parking to accommodate the Buckeye rabid fan base. If you go, visitor parking is a little tight, but visitor stands have plenty of space for seating. Great game atmosphere!